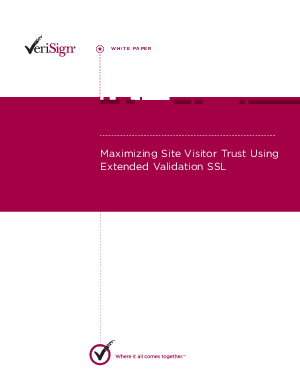 White Paper Published By: VeriSign Incorp. Provide site visitors visual cues that indicate your site is legitimate with Extended Validation (EV) SSL available from VeriSign. Read this paper to learn how to increase site visitor confidence in your site. Learn more today!